Sail on insurance | Get Insured to stay Secured » All you need to know about what travel insurance policy covers! All you need to know about what travel insurance policy covers! To argue why travel insurance is important is just a waste of time. We can never ever be sure what’s going to happen in the future; this is why insurance is most important. Travel insurance comes to be very handy if any misfortune hits you when you are on a trip, especially when traveling abroad. Travel insurance coverage actually vary from one provider to another. Not every insurance company will have the same quotes, coverage, and definitions. Obviously, you get maximum benefits when you buy a multi-trip travel insurance. Coverage for multi-trip travel insurance is basically huge, as you are paying more and the policy will cover you for all the trips you do, within the time period you choose while buying the plan. So, if you are a frequent traveler, then I would suggest you to go for a multi-trip insurance policy. Now I will be summarizing what travel insurance policy coverage include based on the top three travel insurance providers in the USA. This coverage will reimburse you for any prepaid and non-refundable expenses if you provide a valid reason for your trip cancellation. Sickness, injury, or death of a person that stands as a reason for your trip to be canceled. Any natural calamity that causes flights to be cancelled. These include hurricanes, tornado, earthquakes, and so on. If some urgent valid work requires you to cancel your journey. If you are called for any jury hearing or your trip is at a halt due to some jury work! There is also a trip interruption coverage combined with trip cancellation coverage that will reimburse you for any interrupted trip if you can show valid reasons stated above. All coverages end on the earliest of the date for trip completion, scheduled return date, or on your arrival at the return destination in a round trip policy, or on reaching your destination in a one-way trip coverage. The policy covers you if your trip is cancelled due to sickness and/or injury of yourself, your traveling companion, business partner and/or family members. But all should be your traveling companion. If your trip gets interrupted or cancelled due to sickness or injury of your family member and/or acquaintance, who is not a traveling companion, then you are covered. But the medical concern should be serious enough as certified by the physician or valid reasons that hold proof that the patient needs your immediate attention or care. Your trip is covered if it’s canceled due to a financial obligation or fault of the airline or your tour operator. The policy covers you if your trip is cancelled due to weather conditions and/or inconvenience is caused due to natural disasters. But the condition should be worse enough to delay your trip for at least 24 consecutive hours. You are covered if your primary residence or destination is made uninhabitable due to vandalism, riots, burglary or natural disasters, and your trip gets cancelled. You are covered if your travel companion is summoned to a jury, or any court case proceeding and your trip is cancelled or interrupted. If your trip gets cancelled due to any problem or alteration of business services that your company or your traveling companion’s employer or company faces. If you or your traveling companion is hijacked or held hostage, and your trip gets cancelled, then it will be totally covered by the insurance policy. If you or your traveling companion has special force obligations and is called to duty or resume services, which interrupts/cancels your trip, then your cost will be reimbursed. If your trip gets interrupted due to terrorist activities within 30 days of your scheduled arrival or departure, then you will be reimbursed. If you or your traveling companion is involved in an automobile accident and/or in federal or police custody, which results in trip cancellation or interruption, then you will be reimbursed. This is important as your general medical or health insurance will only help you within the perimeter of United States. But a travel insurance will cover any medical or health issues you might face on your trip.. Highly beneficial for those who are frequent travelers, and often travels abroad for professional work! Even for such reimbursement, you need to show valid reasons. This coverage also includes doctor fees, prosthetic device expenses, any initial treatment required during the trip, emergency dental expenses, and/or also cost for repatriation of remains upon death. This policy will pay for any lost personal belongings and property. The insurer will provide you with the financial support if you need to book additional hotel rooms or order extra meals, due to the delay of flights. Or it can also help you to get new clothes and other objects for basic use if your baggage is delayed. These small things can get costly once you step out of the nation. So, a little help from an insurance company won’t do you any harm! It will pay for any emergency evacuation that you might have to undergo if you fall into any mishap or accident! These include transportation cost to the hospitals, too. Or, sometimes even the insurance company might get your flight tickets if you need to come back home in the middle of your trip, but you got to show valid reasons for that! Probably the first thing anyone needs in times of emergency is to contact someone, who can actually help in those situations! Your travel insurance will provide you with all time free assistance in your times of need! You call them and they are available 24/7 hours for your help! So, that’s all for a proper outline of travel insurance coverages. For a better understanding of the subject, it is always advised to have a detailed talk with your insurer. Actual coverages may vary from the above-discussed points. 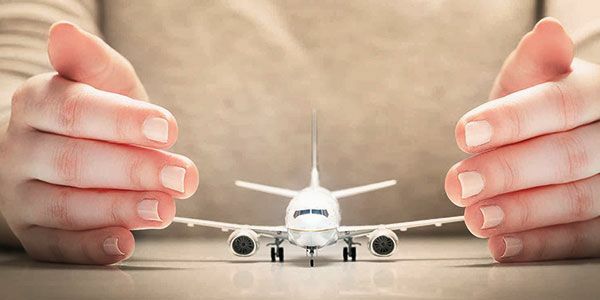 To know about travel insurance policy exclusions click here. * This is a big reason why sometimes it’s not wise to purchase both the travel insurance and the tour package from the same travel agency. If the agency files for bankruptcy, then your trip gets cancelled, plus there will be thin chances of you getting any reimbursements! But, a tour agency filing for bankruptcy is practically once in a blue moon! Nota bene: This article is only for educational and knowledge purposes. It can act very well as a general idea to understand about insurance policies. But policy coverage and exclusions vary from policy to policy, provider to provider, consumer to consumer, and time to time. Read the offer documents and quotes carefully before you buy an insurance policy.